A goal of most website owners is to increase your ranking on Search Engine Results. Great rankings, especially on the first page, is going to increase your website traffic and your business’s credibility. You will grow your clientele with increased rankings. In today's fast moving internet technology, all webmasters must be aware of the Importance of SEO Backlinks and How to Fast Index Backlinks in Google, Bing and Yahoo search engines. One of the puzzles for web developers is how to increase the ranks. Google has a special algorithm it uses to sort through websites. Using SEO keywords is one proven method and providing quality content to your readers. Another method is making sure to index all of your backlinks. 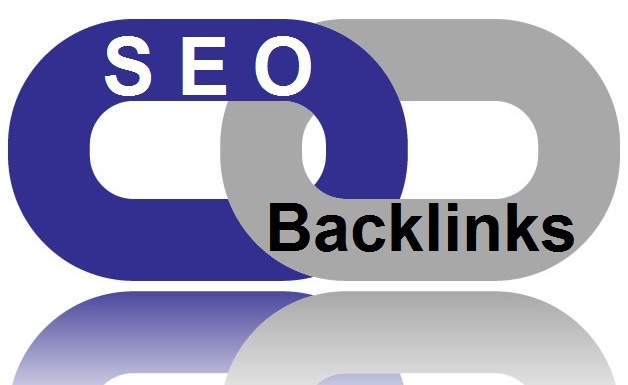 What are SEO Backlinks and its Importance? Backlinks will happen as your website grows in popularity and credibility. Websites will link to your website; most commonly, they will link to your website inside an article so their readers can go get more information. If you are a website selling great fishing lures and fishing advice, a fishing blog may link to your site for their readers. There are a few reasons you want to make sure as many of your backlinks are indexed as possible. Better Ranking: This is surely one of your main goals for your website. It is a common desire to want to have first page search engine results. Bring More Traffic: As your blog increases in ranking, more visitors are going to find the site. This results in more potential clients! Increased profits are a direct result of more traffic. It is a huge benefit for you. Credibility: People tend to trust the websites that are listed first. They assume that Google puts those sites that are credible in the beginning. Google does aim to make sure the first rankings are quality. How to Index Backlinks Fast in Google, Bing and Yahoo? At this point, you are probably wondering how to ensure all of your backlinks are indexed. There are some important points to remember. Your backlinks have to be from credible platforms. Google won’t find nor index your backlinks unless they come from good sources. This helps eliminate those who pay websites to link to their website. The content of your website matters greatly. All of your articles should be written in a creative way, providing important information for your readers. They should be fun to read. Google values websites that care about the content. Sometimes, it just takes time for your backlinks to be found. Google will find them eventually, and if you follow these ways, it will find even more. Even then, it sometimes just takes waiting for it to happen naturally. These are important to remember. Without good platforms and good content, Google is less likely to index the links. There are other ways to help Google find them as well. You don’t have to always passively wait for the good results to come your way. Use a pinging service that lets search engines know about any updates to your blog or website. There are a few different pinging services to try. It is a proven method that has lost some popularity but still provides results. Write some guest posts! This is one of the best ways to get backlinks and generate new readers quickly. It is best to find another website in the same niche area as yours. Ask for a guest post swap – where you guest post on their site and they can guest post on yours. This will benefit both of your websites. Try social bookmarks. Some memberships to these sites allow you to post up to 300 URLs each day. It is important to remember you can get banned for just posting your websites, so try to bookmark other sites you visit. One of the most popular options is Pinterest. Make sure your website is able to be pinned by readers as well. Another option is to find a website to process your links for you. You pay them to find and index all of your backlinks. If you don’t have the time to do all the legwork, this is a great, surefire method.